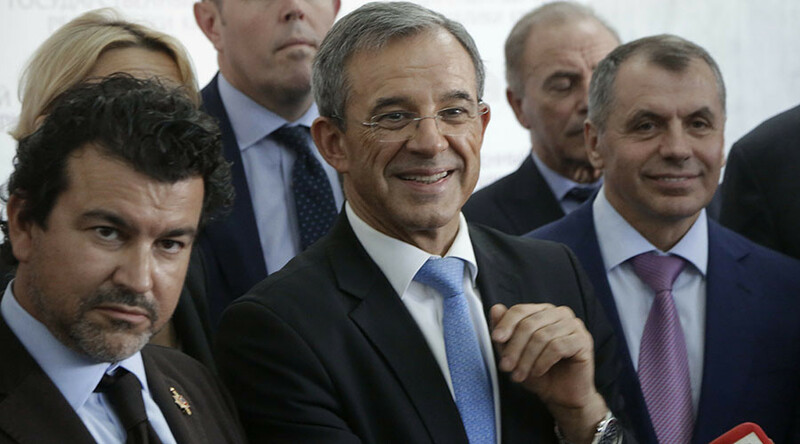 French lawmaker Thierry Mariani has been asked to step down from the Parliamentary Assembly of the Council of Europe (PACE) after he traveled to the Black Sea peninsula of Crimea as part of the French delegation in July. RT has caught up with the politician to get his reaction. A parliamentary delegation of more than 10 members of the French National Assembly and the Senate paid a two day long visit to the Crimean peninsula on July 23. 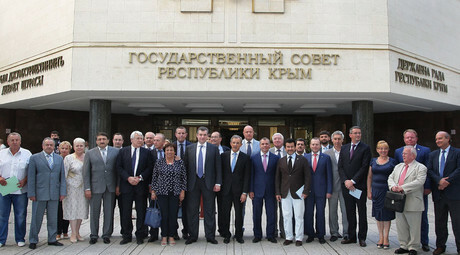 The group visited the cities of Yalta and Sevastopol, where the delegation met with the Crimean leader Sergey Aksyonov and chairman of Crimea’s State Council Vladimir Konstantinov. The French lawmakers had decided to make the trip to Crimea to get a sense of the situation in the peninsula, after it joined Russia in spring 2014. Both the French and Ukrainian governments have condemned the decision, claiming that it was a breach of international law. Mariani made loud statements in the press following his visit to the “region, where peace reigns,” saying that the Crimeans he met were happy to be part of Russia. Now, months later, Mariani, a member of the lower-house of the National Assembly Foreign Affairs Committee, told RT that he had received a letter in which PACE asked him to step down. He also had to quit his post as vice-president of the Group of the European People’s Party at the Council of Europe (EPP-CD), “at the request” of the Ukrainian delegation. “I can say that I am a little surprised because it seems to me that [making such decisions] five months later – it’s a little bizarre,” said Mariani stressing that this decision will only make him want to return back to Crimea sooner. “Secondly, I would say that I find this absolutely stupid, and completely counterproductive,” he added.